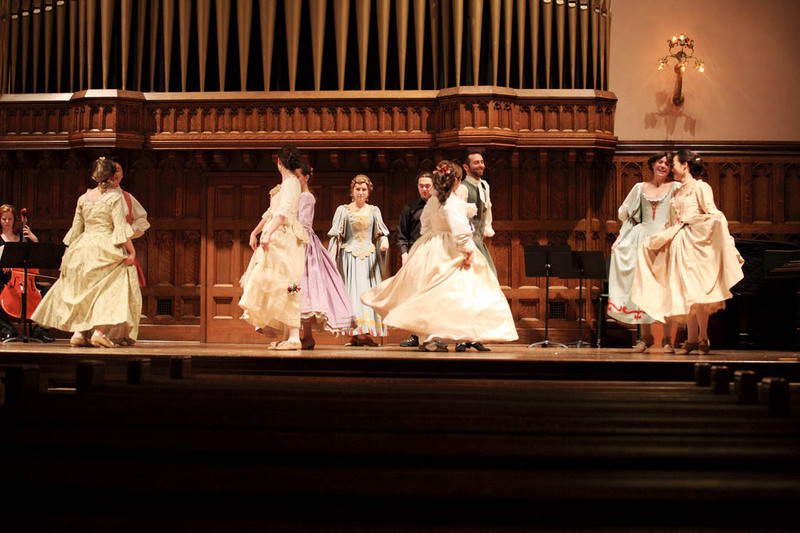 The CWRU Baroque Dance Ensemble was formed to provide an outlet for students to learn and perform 17th- and 18th-century dance. The ensemble meets collectively twice a week and performs, in costume, one to three times per semester. It is open to all undergraduate and graduate students at CWRU and CIM although it caters to those with dance and/or music background.